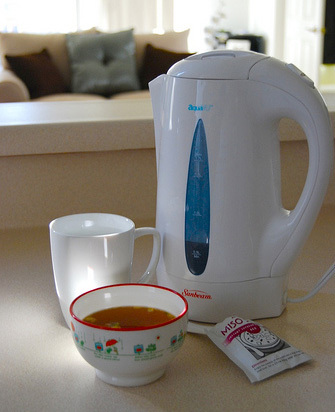 Electric tea kettles present a fast, safe, easy, and efficient way to heat water. They are extremely popular in Europe and gathering steam elsewhere. 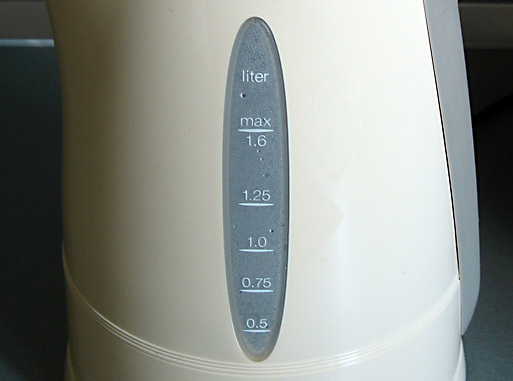 Electric kettles can be used on a kitchen counter or table and won't take up any space on your stove. 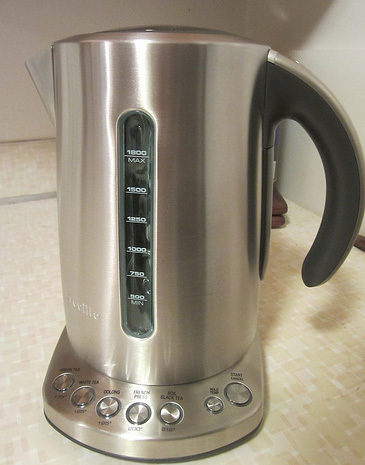 Most electric kettles do not "whistle." But if this is important for you, whistling electric kettles are out there if you look hard. Many just shut off without a loud alert to notify the user that the water is done. Some of the fancier electric kettles come with extra buttons and settings that a serious tea drinker will appreciate. These may include a "keep warm" option or the ability to choose the water temperature (for applications that do not require boiling hot water). While this gives a kettle a lot of versatility, extra settings also make the kettle more complicated to use. Casual tea drinkers may find the extra features to be an unnecessary expense and hassle. Look For: A Detachable Base. This is a feature everyone can appreciate. Having a separate base that detaches from the kettle allows for a cordless kettle that is easy to pour and can be set down anywhere. Safer than stove top kettles because they automatically shut off when the water is done heating. This prevents "boiling dry," which damages the kettle and presents a fire hazard. Heats water quickly and efficiently, saving time and conserving electricity. Usually has a window with measurements to show how much water is in the kettle. Some come with extra features like temperature control that are not possible with a stove top tea kettle. Several years ago my parents spent a few months in England. When they returned, one of the first things they did was buy an electric tea kettle. They insisted it was a necessary piece of kitchenware and later bought one for me as a gift. I was skeptical. What could this do for me that my stove top tea kettle could not? Well, I've had it for two years now I'll admit that it is one of the most used appliances in my kitchen. My husband and I use our electric kettle more often than the toaster, microwave, or oven. It is truly the most convenient way to heat water. We regularly use it for making tea, coffee, and hot chocolate.